I enjoyed this book because it had a good story line and I liked how the man with the tattoos helped rescue the main character from his father’s brother. It is quite a mysterious story and it has not all nice parts – some parts would be for older children. I don’t think there was that much about history but I do want to read more books by this author. I enjoyed the book as the sentence openers and endings were good. I thought that Miglos (the main character) was brought up well with the idea of vengeance for his father and at the end when he fled Tigran (the main villain who killed Migloses father,) I thought that made a good ending. The history was realistic because the Stonehenge was built before 2300 BC. I would read more of this author’s books because his style of writing as 1st person is my favourite type and he keeps his stories simple. The book was amazing and I enjoyed everything about the book. I enjoyed this extraordinary book because it was a little bit scary and I love books that have a little bit of horror in them. My favourite part of the book was when the main character banishes the brother of the High Priest from the kingdom. This book is about a boy called Maglos whose dad (the high priest) gets murdered by his brother so Maglos has to become the high priest and has to go on a journey of a life time to become king of the land. The book is set in the Bronze Age and involves 2 peculiar men, a boy whose destiny is to become king and many more interesting characters! If I were to recommend this book, I would recommend it to ages 8+. I learnt that sometimes if you act the way you shouldn’t, you will regret it in the end and you will remember it forever, living an uncomfortable life. I loved the illustrations because it helped me understand the book more. I loved the book therefore I would rate it a 5 star book. This book really fascinated me and I look forward to reading another book by Tony Bradman! Secret of the stones is an amazing book full of wonder and fascination. It can teach you a lot about history, the bronze age and how they made metal. It is about a boy called Maglos and his father is the high chief of a mini town. He has an evil brother called Tigras who is planning to kill him on the sacred altar, and that place is a temple where you can become a bull and get killed on the sacred altar!!! Oh no Tigras has killed his brother and then threatens to kill Maglos but luckily someone saves him .But those two people make metal and in the end they teach Maglos how to make metal. Suddenly he decides, with his metal sword to kill Tigras but will he win a fierce battle and then become high chief? This is the story about a boy called Maglos who is an only son of a tribe leader and this story is set in 2300 BC at Stonehenge. He learns the secret of the stones. I enjoyed this book because the story is interesting. I learned that in 2300BC they sacrificed white bulls on a sacred altar. However, some bits were not as interesting because the story was slow-paced at points. I think that the history in the book was quite realistic especially when another person in the tribe wanted to take over the leadership. Whilst still interesting it only partly made me want to find out more about the history of the time. My conclusion is that I would give it four stars out of five. I like this story because it explains everything in a good way. I also liked it because it was a good story for me. I would definitely recommend it for others of my age. I don't think this story was realistic but I did think that it worked well. I really enjoyed this book, but it was not my favourite book that I have read this year. It was real however, I could feel it. This story is about a boy who is asked by the king to make sure that everybody is happy with him being king. You should read this book, but read it slowly. It is confusing. The book is about a boy called Maglos. His father is called Daguno and Maglos is his son. Tigran is Maglos’ uncle. He kills Daguno and Maglos goes on an adventure, where he learns how to make metals from stone. I loved the Secret of the Stones, it is really good. It sounds really realistic and I found this period of history really interesting. My favourite part was when Maglos makes copper. I really enjoyed the book. I think Tony Bradman is a great author. I liked when the high chief Daguno was making a sacrifice of a white bull to offer its blood to the sun. I think the history in the book is realistic. The first book I read was Attack of the Vikings. It made me want to read more so I read The Secret of the Stones. I loved it. It was amazing. Oh, I hate Tigron because he killed the high chief, (he’s mean). 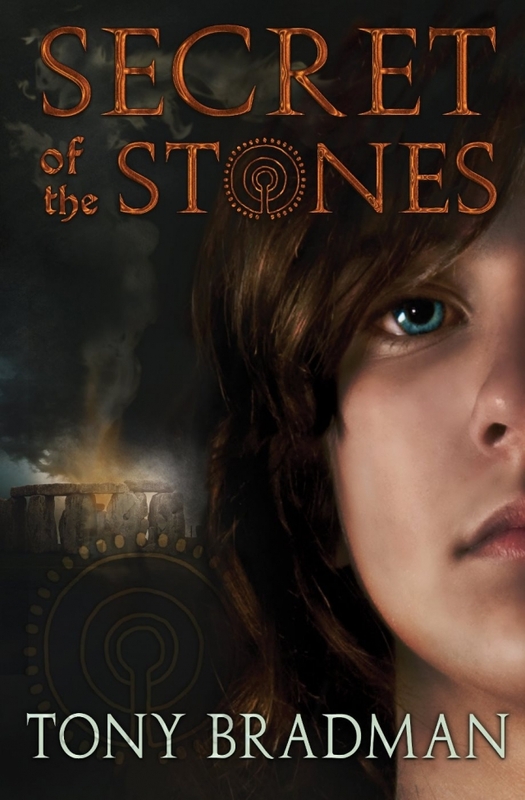 I really enjoyed the book called the Secret of the stones it was about a boy called Maglos and his father who was a chief and his brother who was Mangos uncle who was very jealous of his brother so he killed his brother so that he became chief. This book teaches us to follow our hearts and to stand up for ourselves. Maglos stood up for himself and followed his heart and became chief and the people where happy. I really like this book because of the different time period, it makes me think of how it was like to live in the story. I think that my favourite character is Caturix because he can’t speak but he speaks with his hand and teases quite a lot. I feel sorry for Maglos because he lost his father and was forced to leave his tribe all in one day. The title of the book I think is really dramatic so it made me want to read it. Over I give this book 9.5/10. I enjoyed this book. My favourite character was Caturix because he teases people using his hands. I liked the part where it described what the stone temple looked like. I think that it was realistic because the stone age has been a time period. I think the book could be improved with illustrations. I rather enjoyed reading this book and I particularly liked the character caturix as he can not speak but he learned to speak with his hands instead. Also I thought that the history about how the Stone Age changed into the Bronze Age and how there were tribes was good, and I wouldn't mind reading another book my Tony Bradman as I liked his book. Overall I did enjoy this book however I thought that in the story there could have been some more factual information and thought there could be more information about the past. I did enjoy the storyline and thought that the botanical garden and the mountains were described very vividly. The use of language was varied which made the book seem very interesting. At some stages of the book I thought the story could have benefited with a bit more of an interesting plot. I really liked this book because just from the first page I started to ask myself lots and lots of questions about what would happen to the main character called Maglos. It had a lot of mystery and history in it. I liked two of the main characters because they carried the secret of the stones and skill between them both such as making bronze. This book made me want to find out more about Stonehenge and more history like that. I thought that the history in the book was really realistic because everything made sense such as they were making lots of metal and bronze like people did in the Stone age. I liked the great temple because it splits into two parts which is the land of living and the land of the dead. I also like it because that is where they make sacrifices to the gods. The end was very violent because it was a massive battle but I was glad about who won. This book makes want to read more books by this author and illustrator because the illustrator draws really good pictures in the book and the author because he puts a lot of mystery in his writing. I find this book particularly interesting due to the fact it's historical fiction, yet powerful and exciting. The characters were great and had a lot of personality, the main character Maglos suffered but came through with courage. The settings had a great description and were just how I depicted them in my history lessons. The only bit I disliked was its shortness, and the fact that it has a big cliffhanger, thus, me craving to read even more. Overall, I think it's a great book and I'd recommend it. My book review is about Secret of the Stones. I enjoyed this book because it took me into a whole different world of friendship, hate and sacrifice. My preferred character was Maglos because he tried to avenge his father no matter what came his way. I think the history book was very realistic because of all the speculations about Stonehenge. I liked that in the back of the book it talked about how Tony Bradman was inspired and how he got the ideas of creating this book. This made me want to learn more about Stonehenge and how it was built. I had never heard of this author before so it made me want to read more of his books. I also like the illustrations and that there aren't too many pictures otherwise it would feel that the book was too cramped. I liked learning about history through this story. The words the author has used really helped me to use my imagination and keep a good picture in my head as I read the books. I really want to go to Stone henge now so I can see what it is like for myself. I liked the character Maglos. I felt sorry for him so the author did a good job changing my feelings about the character. It was a very good story and I would recommend it for children 9 and over. I really enjoyed this book because the story helps me with history and is interesting. I also thought that the author did a really good job in writing the book as most of the people that I heard who read it liked it. I learned that in 2300BC that they sacrificed white bulls on a sacred altar. I really liked the part when Maglos came back to his dad's murderer and placed him on the sacred altar. However, some parts of the book are less interesting because some bits were quite hard to get to grips with because how the author used less adjectives and verbs. My conclusion is that I would give it 3.5 stars out of five.